If you live in London, you might have already spotted a few Rimmel London Scandaleyes Reloaded Mascara posters at bus stops, underground stations and at various corner shops. Scandaleyes Reloaded has taken over London and it’s scandalous and unstoppable! With Cara Delevingne in the front line, London is ready for an extreme makeover! 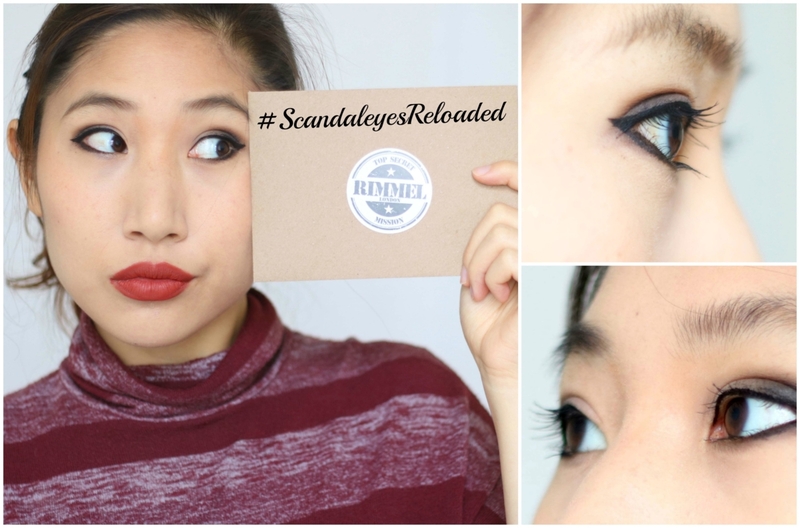 Scandaleyes is one of Rimmel’s most popular product range for creating bold, dramatic and smokey eyes! The range is so well known, it might as well be a brand itself. 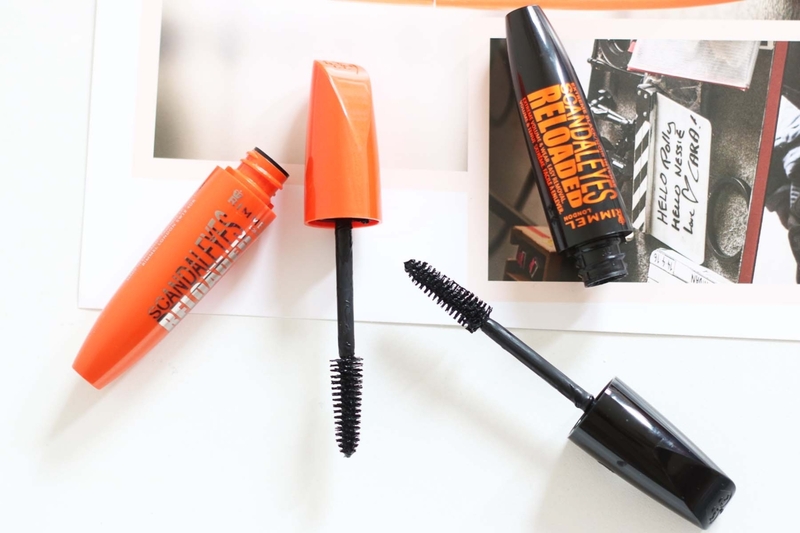 😛 I was really excited to try out this product range as I’ve heard a lot of positive things about the new Rimmel London mascara! In addition, I was also dying to try the eyeliners because they would be great for creating flicks and precise lines! 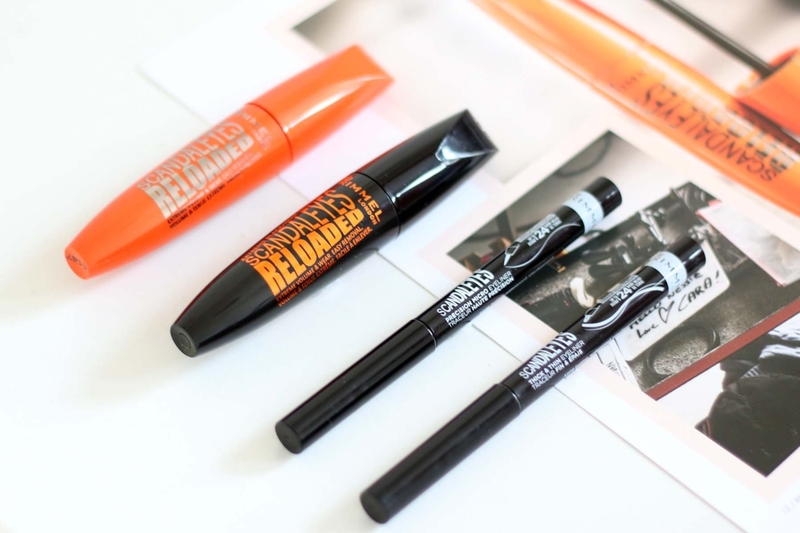 The products I have here are Scandaleyes Reloaded Mascara -Black and Extreme Black, Scandaleyes Precision Micro Eyeliner and Scandaleyes Thick and Thin Eyeliner. So read on if you want to see how I got on with these products! These two mascaras are actually the same, but slightly different in colour. Don’t worry, they’re not orange and black, but the shades are 001 Black (orange wand) and 003 Extreme Black (black wand). Of course, 003 Extreme Black is my favourite shade because I love dramatic eyes. Nevertheless, 001 Black doesn’t look bad either and it’s very similar to the extreme shade. The design is very similar to the original Scandaleyes mascara, but the formula is upgraded to give you more intense volume, extreme wear and a clump free finish. I love using this mascara because the brush is a good size and it matches my eyes perfectly, which helps to create a flawless finish. And when they say clump-free, it’s indeed clump and residue free! However, I couldn’t get the volume that I wanted from this mascara with just one coat. But the formula is buildable and you will need to apply a few layers before achieving that dramatic effect… unless, you already have super long and beautiful lashes! 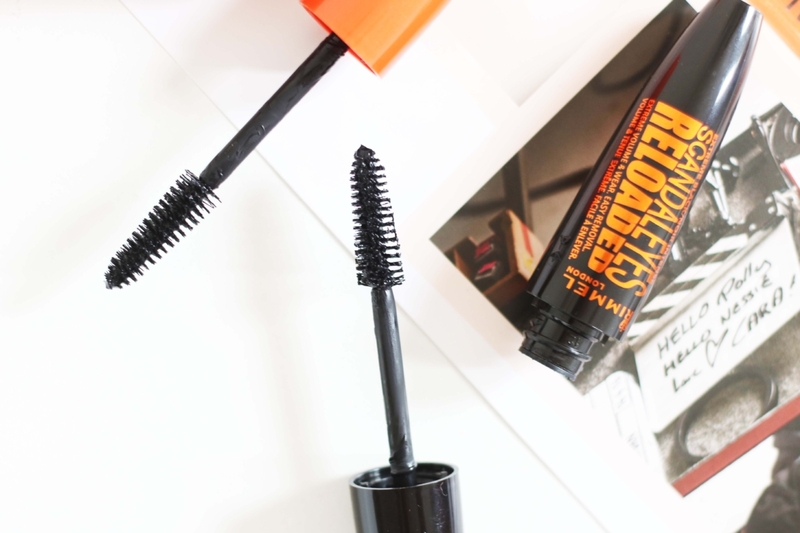 I wouldn’t say that Scandaleyes Reloaded Mascara is my favourite mascara of all time for volume, but I do think it’s one of the best mascaras for creating fluttering, long-lasting and clump-free lashes in seconds! 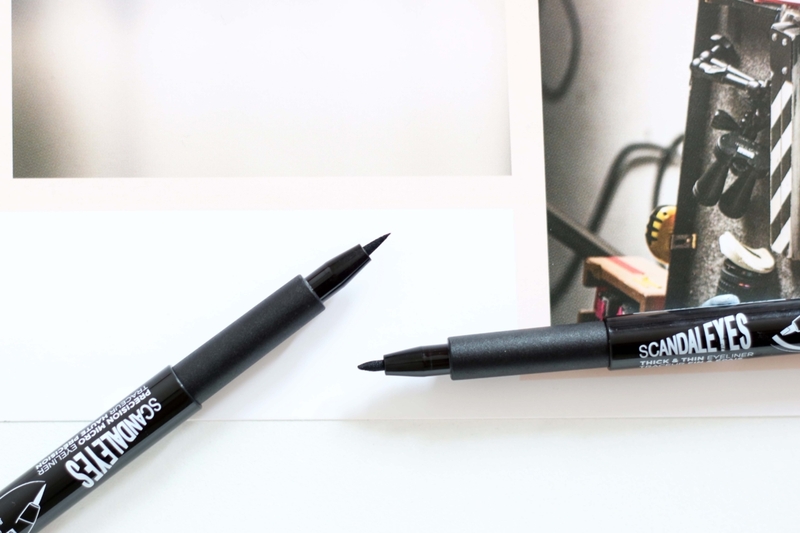 These Scandaleyes eyeliners are like felt-tip pens, but way cooler! I’m more familiar with working with liquid liners for creating flicks, so I was excited to try out something new. 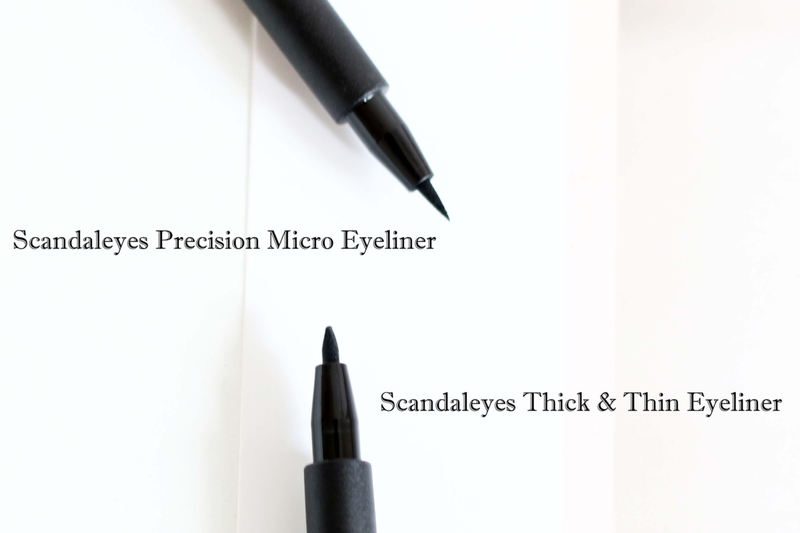 The two eyeliners have the same formula, but the tips are a little different. The Precision Micro Eyeliner has a super thin tip, so it’s great for creating thin lines, filling in gaps and correcting errors. The Thick and Thin Eyeliner basically serves two purposes, you can create a super thin line with one end and a thick line with the other end. 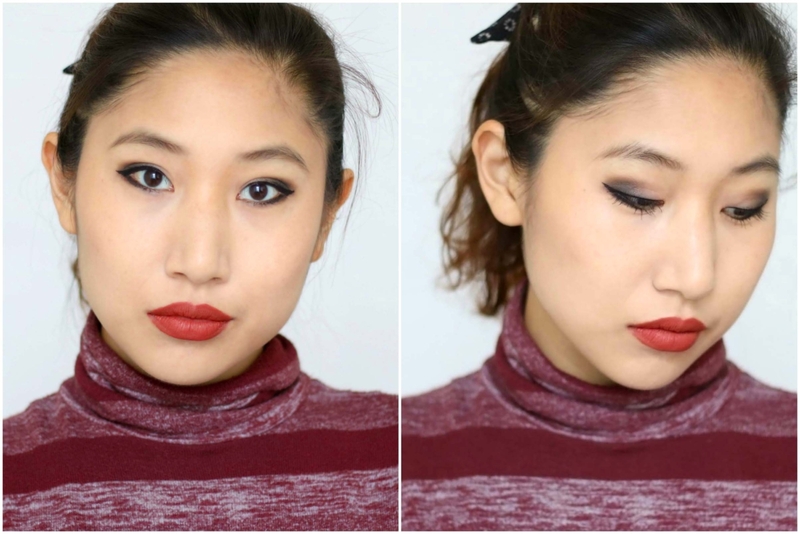 This eyeliner is great for creating dramatic flicks due to the way the tip is shaped. Although I enjoyed using these eyeliners, I think I’d stick to liquid liners as you can get a more fluid movement upon application. These Scandaleyes eyeliners do have a bit of a drag when applied, making the application time slower than liquid liners. But it’s good if you want to learn how to do flicks as you can get a precise long-lasting finish with these. I tried re-creating a “scandalous” look with these products! It’s not as awesome as Cara Delevingne’s look, but it’s good enough for me! Let me know what you think and if you have tried anything from the range? Good news! I have a complete new set of Scandaleyes (featuring the four products shown in this blog post) and it’s going to one lucky winner! All you have to do is follow me (@liviatiana) on Twitter and RT the giveaway image! Giveaway ends at midnight 31/10/2016, so it’ll be a special Halloween treat! Winner will be announced here after the giveaway has ended. Good luck! T&C: 1. In order to gain entry, you must follow @liviatiana on Twitter and have retweeted the competition post(s). 2. All entrants must be over 18. All under 18 entrants must have parental consent to enter. 3. This competition is UK only. 4. One winner will be chosen after the giveaway ends. The winner will be contacted via email and announced here. 5. Non-compliance to the rules and false entries will be disqualified. 6. The prize must be claimed within one week. 7. The items cannot be replaced if lost or damaged in the post. *Disclaimer: This post features PR products, but the choice to review these are my own.